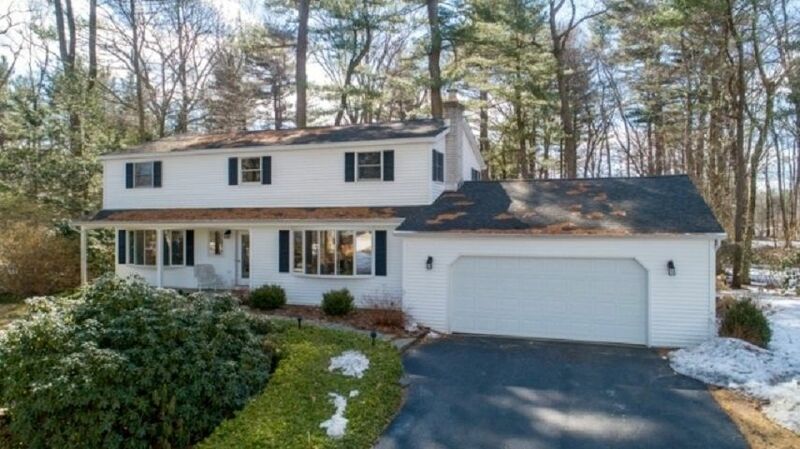 Popular Hanover Colonial set on a private 0.67 landscaped lot in desirable Country Knolls neighborhood. This spacious +/- 2600 SF 4 bedroom 3 full bath home has many important updates including vinyl siding, newer windows and roof. Freshly painted with shiny hardwood floors throughout, family room with Gas FP & built in shelves, large eat in kitchen with newer appliances and slider to large 20'x16' screened porch overlooking flat and private back yard. Great master suite with renovated bath with whirpool tub. Convenient full bath and den/bedroom on first floor. Directions: Northway Exit 10, West on Ushers Rd, right on Wood Dale, to left on Sweet Brier Drive.